Break-free from the limitations of your ATS. Adopt ATS integration to get the best out of your resume database. Attract, engage and retain the best talent for your business. It was just another Monday when Shreya, a recruiter at an IT Company stared at her laptop looking through the vacant positions in the company. It had been over a month, but the organization was not able to fill in some of the most critical roles. The recommendations provided by Application Tracking System (ATS) are not impressive, referrals are not working, and they have already missed on some potential candidates over their competitors because they did not get to them in time. Shreya decided to take up the problem to the recruitment head with a suggestion to replace the current ATS System. She had been hearing about some of the newer entrants in the ATS market which had a lot of bells and whistles. She hoped the new features would help with better hiring. Her recruitment head, however, told her that switching to a new ATS wasn’t going to be an easy thing. One of the reasons was that they had signed up a multi-year contract with the ATS service provider and switching to another ATS meant foregoing the money and paying for a new ATS. The other reasons were also that there would be a substantial amount of time they would have to invest to evaluate and narrow down on the ATS they want to go with. In addition to all this, the recruiters will all have to be trained on the new system all over again, and it might be a few months before they adapt entirely to the new system, during which time their efficiency might not be optimal. The Talent Acquisition team set up a meeting with their current ATS service provider and shared their dilemma about how the product is not meeting their new needs, and how they might plan not to renew their contract for another fiscal if they found a better solution. Rohan Kumar, CEO of the ATS Company, got worried after the meeting. It was the third client who had similar views in the last five months. All the clients wanted something ‘extra’ from the ATS, which the new entrants in the ATS market were offering (such as listing potential match resumes against job descriptions, chatbot assistance, etc.). He was disturbed by the thoughts of losing business to these new ATSs. Within the isolated world of HR technology and recruitment software, ATS is perhaps the most hated among the recruitment department. 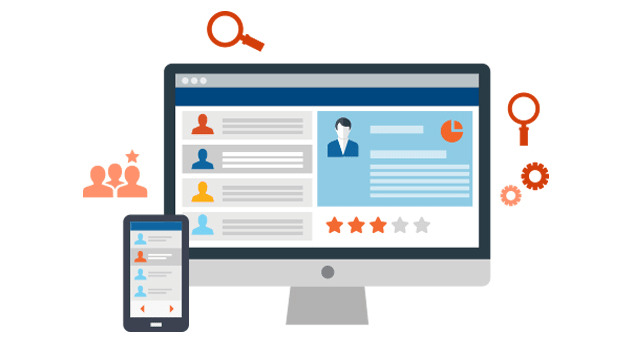 This is because some of the ATSs used by companies are primitive, cumbersome to use, with complicated (at best) and mostly elementary search functionality, which cannot help search for and track down potentially great candidates. It impacts the organization’s ability to tap into potential candidates in time. This is slowly steering towards resulting in a business loss for ATS service providers since organizations are inclined to move towards services that offer all the features they need. Investing in new technologies or moving to a better system may be a viable option theoretically. However, given the costs (not just monetary) involved, it comes with a considerable expense which your business might not be willing to foot. So, how do you make sure you don’t lose out on a potential candidate and business due to the current shortcomings of your ATS? building a connector to the ATS. This will enable the 3rd party applications or software providers to access data from the ATS. Some software providers already have partnerships with ATS service providers, allowing a one-click integration. For ATS service providers companies, as a user, they can partner with 3rd party applications to upscale their ATS capabilities by having access to their Application Program Interface (API). With access to their APIs, service providers can retrieve the additional information provided by the software provider and displays it to the end user. Hence, it saves the ATS Service providers from re-designing their ATS without having to compromise on the existing look and feel of the product. ATS providers can expose their APIs for further development which helps other developers, software providers or third-party applications to build solutions using the ATS data. This leads to building solutions or features which may not be a part of the ATS. ATS was not designed keeping in mind the sourcing efforts. They were intended primarily to ‘track’ applications. Hence, they are not adequate for pursuits like creating and building talent pools and nurturing relationships with them. Integrating ATS with new technologies will elevate the ATS to an ecosystem of passive and active candidates, in addition to being a repository for every candidate who has ever applied to the company in the past. ATS help track and manage the application process. However, they do not help reduce the manual workload of recruiters. At best, they would do an exact keyword match, returning way too many false positives, since candidates are known to game the system by resorting to keyword-stuffing on their resumes. Newer technologies can harness the power of data science and AI to help recruiters not just screen but also stack-rank candidates with increasing accuracy for each position. The stack ranking process will automate the screening process and reduces the overall time-to-fill. It makes the process more objective since it eliminates the manual screening decisions, based on gut instinct. Additionally, these technologies can also design patterns based on the previous hires in the company, and predict the suitability score of a profile. ATS contains an enormous pool of resumes of candidates who have applied to the company over the years. However, the company is not able to harness the data as the search option is not very robust. The new softwares in the market can recommend profiles of suitable candidates to the job as soon as the job is created in software. This way, not only does it build an instant talent pipeline for the newly opened job, but it also helps utilize the data efficiently. For ATS service providers, new-age ATS tools constitute a significant threat, enticing customers with features lacking from your ATS. This could result in churn in customers, fewer renewals and loss of business. Instead of reinventing their ATS, service providers can think of partnering with companies who are experts in some of these features. ATS integration comes across as a much wiser investment. E.g., candidate stack-ranking, candidate screening, chatbot, etc. This way, you retain the client and also in all likelihood are securing the account for upcoming renewals. In a study by Aptitude Research Partners, 40% of the Fortune 300 companies expressed dissatisfaction with their existing ATS. Fortunately, with integration, the ATS doesn’t have to be replaced. Instead, it can be augmented to meet recruiter and job applicant expectations and requirements. 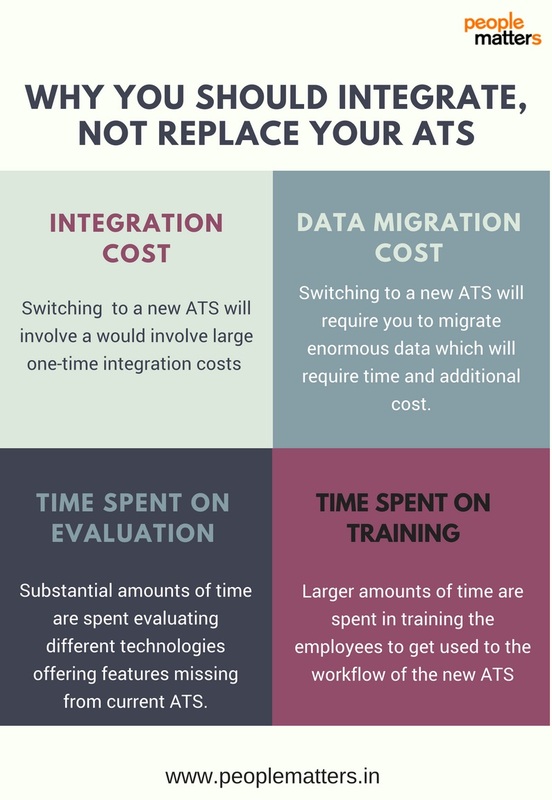 ATS integration is a win-win for organizations as well as service providers as it helps them avoid the expenses associated with moving to a new system, without compromising on the technological advancements some of the new entrants in the ATS market offer them. NEXT STORY: Are Women in Tech still a minority?